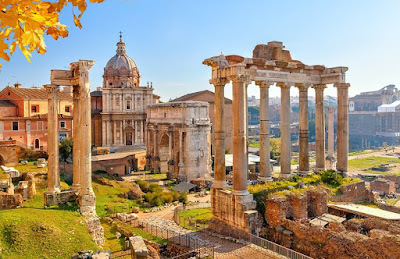 Home / Euro / Italy / FAQ: What Happened to Rome? FAQ: What Happened to Rome? Italian capital markets are having a spasm that by some measures is more acute than was experienced during the 2011-2012 sovereign crisis period. We suspect the reprieve being experienced today--after a move historic proportions yesterday--will be short-lived. Market participants see the greatest existential risk to the eurozone since before the French elections last year. And although no one needs geography lessons, Italy is not Greece. Italy is the European Community's third-largest economy behind France and Germany. It runs a current account surplus of 2.5%-3.0% of GDP. Italy also runs a modest primary budget surplus of around 1.7% of GDP. Not to bury the lead, but Italy's problem is the huge state debt. At around 130% of GDP, it is among the largest in the world. Low-interest rates and a modicum of growth has seen the debt/GDP ratio stabilize over the last few years, but it is poised to deteriorate further. The debt may be acceptable if the Italian economic growth were stronger, but alas, it has been a laggard in the euro area. The slow growth and lax practices have left Italian banks with large amounts of non-performing loans. EU-wide regulations, including harmonized definitions and procedures, have come into force and Italian banks have been reducing the bad loan book. What many discussions of Italian NPLs fail to include is a discussion of the provisions made against the bad loans and the residual value. Also, some reforms of the Renzi government helped banks address some related issues, like liquidating the collateral when necessary. The present crisis, to which we now turn, is political in nature but the economic situation is entwined with it. Q: Didn't Italy have an election in early March? Why is there a crisis now? A: Italy's national election was in early March. Despite the new electoral law, no party could claim a majority. The populist (with an agenda that crosses the traditional spectrum) Five Star Movement (M5S) received the most votes. However, it struggled to form a coalition with either the center-right or the center-left. Finally, the M5S managed to forge a coalition with the (Northern) League, a nationalist and nativist party, that campaigned hard against M5S. The agenda that they worked out, scared investors because it threatened to undo reforms, including reducing the retirement age, boosting spending, and cutting taxes. Q: So the threat of fiscal excesses spurred a capital strike? A: Provided investors thought the problem was an idiosyncratic Italian problem like they did for more than two months following the election, there was a general complacency. The complacency was recognized, but it seemed understandable, given that the ECB continues to buy Italian bonds and the threat posed did not appear imminent. Participants were shaken out of their slumber as it became clearer that direction that the M5S and League were moving was going to pose systemic risks. One such indication was the idea of issuing small denominated Treasury bills (mini-BOTs) to service the government arrears (past due sums owed to the many small and medium-sized businesses that provide goods and services to the Italian government), which was strikingly close to a parallel currency. Q: Do the M5S and the League want to leave the monetary union? A: They say they do not want to leave EMU and drop the euro. Both parties toned down their anti-EMU and anti-EU rhetoric during the campaign. However, to many it is unconvincing. M5S and the League would be happy if the EU capitulated to their demands. While there is some flexibility, debt forgiveness or changing the Stability and Growth Pact seems too big of an ask. It is in that confrontation that the exit ostensibly lies. Q: Why did President Mattarella stop the coalition from forming a government? A: President Mattarella did not stop the M5S and League from forming a government. What he did was reject the nomination of their candidate for finance minister. The parties then refused to select another candidate and instead opted for elections. Mattarella rejected Savona's candidacy ironically on democratic grounds. The problem is that in a personal meeting with the President, Savona refused to distance himself from previous calls to leave the euro. The problem is not that there is a contingency plan to leave the euro. Many countries likely have given this some thought. The problem was one of intent. Given that the parties did not campaign on the issue and that it was not included in their declared agenda, Savona seemed like a Trojan Horse, meant to help bring Italy out of the monetary union. Mattarella saw this as undemocratic. Q: When will the elections be held and is it really a referendum on the euro? A: A date for the elections has not been set, but it seems reasonable to expect an election in late July or early August. Summer elections are uncommon in Italy. Many shops close in August. Turnout could be lighter than usual despite the stakes. Mattarella and others want to frame the election as a referendum on the euro. After all, surveys have consistently shown that a majority of Italian's favor EMU. On the other hand, the M5S and the League want to frame the issue as one between democracy and Italy vs. EU, ECB, and Germany. The latest surveys show that the combined vote of the M5S and the League has risen from around half in the March election to around 60% now. Q: Last time the League ran in coalition with Berlusconi's Forza Italia party. What is going to happen this time? A. It is not yet clear. There is some talk that the M5S and the League can run as a coalition. That seems unlikely. The coalition was always one of expedience and necessity, not ideological compatibility. In fact, in recent days, more space appeared to open between the two parties. M5S seems more willing to find a solution to the crisis, while the League recognizes that it has gained through the crisis. Specifically, an average of polls since the election shows the League is the only political party to increased its standing. Some suggest that League took votes from Forza Italia because Berlusconi was barred from public office. However, since the March election, Berlusconi's ban, stemming from a previous conviction, was lifted (a year early). While the League and M5S have colorful, charismatic leaders, center-left does not. In fact, through the crisis, no center-left figure has emerged. Berlusconi and Renzi are divisive figures and remember Berlusconi had also seemed supportive of schemes that were similar to a parallel currency. Q: How does the refugee problem impact the political situation? A: If there was one single issue that appeared to bolster the support for the M5S and the League, as well as undermine support for the center, it was refugees and immigration. The problem is straightforward. Europe adopted rules that place the welfare burden on the EU country which the refugee first lands. Geography dictates that the burden is born by southern Europe, like Greece and Italy, which are economically among the least positioned to cope with the cost and social consequences. Northern European countries have little interest in shouldering more of the burden. It fuels the pre-existing nativism within the League, for example. Q: Will Italy be in EMU in a year from now? A: We think that Italy will most likely in EMU a year from now. Still, we recognize that the risk of it leaving is above zero. A recent Sentix survey saw 11.3% of respondents expect Italy to leave within a year. This is up from 3.6% in April. We repeatedly argued against the earlier claims that Greece was going to leave or be ejected from the monetary union. Our reasoning was predicated on our understanding of EMU as an economic solution to a fundamental political question: how to incorporate a united Germany. Even when Germany was divided, its interests began to diverge from Europe's (see Ostpolitik). Maastricht was a response to the ERM crisis spurred by the policy mix (loose fiscal and tight monetary policy) after the Berlin Wall was taken down. If Greece was no longer in the monetary union, EMU could survive. We are less convinced that we could say the same thing if Italy were to leave. When odds seemed to favor Grexit, German, Swiss and Danish assets were sought after. Securities there were perceived to have an embedded option and were seen as likely to appreciate in such a doomsday scenario. Q: Can the ECB buy more Italian bonds? A: The ECB has authorized the buying of Italian bonds under its QE program. It is buying 30 bln euros a month of assets (sovereign, corporate and covered bonds). The buying is proportioned to the capital key (roughly the size of the economy). This means that around 3.5 bln euros of Italian bonds are bought per month. Some are concerned that the dramatic sell-off in Italian bonds means the ECB is experiencing a loss. However, the situation is more complicated. First, the ECB authorizes the bond purchases, but the Bank of Italy carries out the purchases of Italian bonds like the Bundesbank buys the Bunds. Second, and importantly, the national central bank bears the entire risk. That is the Bank of Italy bears the risk of the Italian bonds that the ECB approved buying. Third, the bonds are not marked-to-market that way a private asset manager may be required. Instead, the bonds are valued at historic costs and assumed to mature at full notional value. This means that only in a case of default would a loss be incurred. If Italy were to seek official assistance, like Greece, Ireland, and Portugal did, the ECB could buy more Italian bonds, though Italy would have to agree to a formal program of reforms. There is an additional limit that is self-imposed by the ECB, and that is the official exposure cannot be more than a third of the outstanding sovereign bonds. This appears to leave scope for purchases of another 130-150 bln euros Italian bonds.